Grandma doesn’t need a particular name, she could be your Grandma or anybody’s Grandmother, and she will be with you each Sunday as you learn from your wonderful teachers. She’ll be there in the classroom to help you find your pencils, books, help you with words and sentences that don’t come easily at first. She’ll ask you if you want a snack and help prepare your lunch. Then she’ll give you a hug and tell you that she will see you next week. 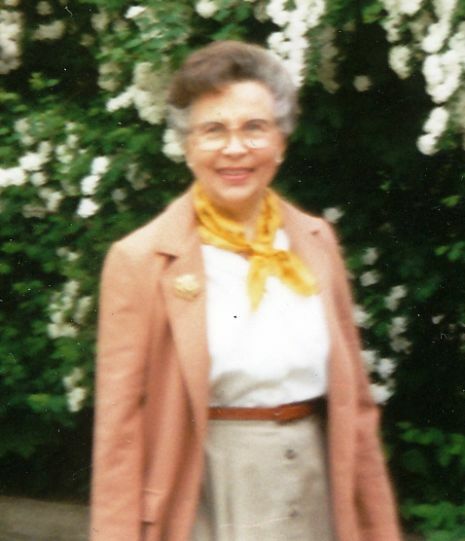 This Grandma, Mary Ellen Blazier Giles, a graduate of the University of Minnesota in with majors in Dietetics and Child Development, passed on in January, 2010. Her love for children was without bounds; she would make special gifts of clothing, food, and money for shelter to be given to many families in her city, and especially children. Growing up in the bitter cold of Minnesota, this Grandma would find the time to help on the coldest days and nights. She started the University of Minnesota in the fall of 1935 without money, only a little green coat and hat to match; Mary attended classes in the early morning and then worked full time until 8:00pm in the evening, riding home to her apartment on a streetcar in Minneapolis. Mom completed her Bachelor of Science in the spring of 1939 at the U of M (she was one of the Golden Gophers). In closing, this Grandma wants you to feel the excitement of learning and being successful just as she felt when she was in college so many years ago.